I think dandelions are so pretty. Charming bright yellow daisies. Did you know they are considered herbs? While most gardeners hate them and do everything to kill them; others grow them for their tasty leaves or even their medicinal properties. If you want to learn more; check out Growing Dandelion. For our purposes, we can just enjoy this vintage floral illustration from that 11th edition encyclopedia which shall remain nameless. 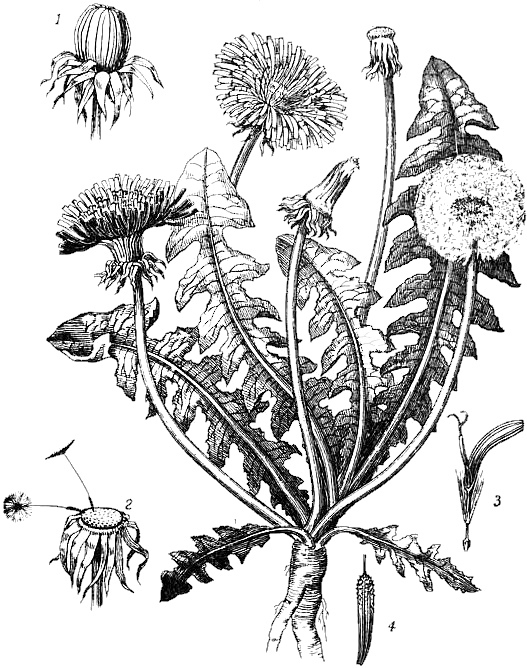 A wonderful black and white botanical dandelion drawing that is fully in the public domain. It shows the full life cycle of the plant. I wish it was a bit bigger, but, it’s still a pretty good size.